The school year in Texas is wrapping up, and both teachers and students are looking forward to the last few weeks of school. 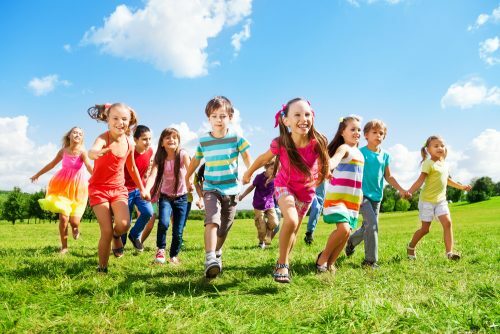 Typically, schools host an end of year party or field day to celebrate another school year being over. At DFW Snow Parties, we bring snow parties to many schools in the metroplex that want to give their students a cool and FUN sendoff into summer vacation. If you’re looking for a way to make your end of year party more exciting, consider the following tips! Everyone loves snow cones on a hot day. Many party rental companies offer snow cone makers you can rent to use at your end of year party. In addition to having an assortment of sweet syrups to cover your snow cones, make sure to have lots of ice bags on hand to refill the snow cone machine throughout the day. Most kids in Texas have never seen snow in any form before, let alone had the opportunity to play with it. Our company comes to your location and uses snow making machines to create artificial snow for different events. Snow parties and artificial snow are really popular during the summer months when kids need a fun way to cool down. Consider hiring a Dallas snow party company at your school this year. The students will love love kicking off their summer with some wintery fun. School t-shirts are a great way to encourage school spirit and serve as a great souvenir of the school year.If it’s in your budget, consider having t-shirts made for your field day for all the kids and teachers to wear. Parents will appreciate that their children will have something they can get a little dirty in besides their own clothes, especially when the snow cones drip or spill! For all of the adults staffing the event, it’s important that everyone understands how the artificial snow will be brought in and where it will be during the day. Depending on how much snow you order, you may need to send groups of children in slowly instead of all at once. Teachers and parents helping during the event should know how this works so there aren’t any meltdowns from students who don’t understand when it’s their turn. Field days are the best way to end a successful school year. Reward students for all of their hard work with an awesome snow party. Get in touch with us today to learn more and book your DFW snow party!